One of a generation of British kids, drawn without rhyme or reason, to sounds from a far away world. A world of field holler, despair, Levee camp and chain- gang moans; of Saturday night fish-fry and Juke Joint foot stomp. A million miles lay between the brooding pulse of Mississippi Delta life and the sanitized shelter of the timid English boy, circa 1962. 50 years on – drawing from a lifetime of adventures, tracking the dark, beautiful resonator, Plant follows his heart and lifts his voice higher and joyous ever away - and beyond – A voice of experience and learning from the sounds of Southside Chicago Electric Blues; of Griot mantras from West Africa; from Louisiana Dance Halls; Greenwich Village Folk hangover; Haight Ashbury indulgences; Moroccan medina breakbeat; the early English radical techno materials, Texas two-step and Bristol Dubstep. Before his recent projects in Nashville with Alison Krauss and Band of Joy, Plant worked alongside the very interesting force, “Strange Sensation”, recording the critically acclaimed, multi-Grammy nominated albums – “Dreamland” and “Mighty Rearranger”. From this platform, Sensational Space Shifters has developed. Now together these confederates and conspirators dig deeper and more intensely, always twisting and turning, bringing the past into a brilliant technicolour present. Justin Adams - a childhood in the Middle East and teenage years with a soundtrack of UK punk set the tone for Adams ' musical adventures. He has produced Grammy winning Desert poets Tinariwen and Algerian Rai rebel Rachid Taha, as well as playing guitar and writing with Jah Wobble, Sinead O' Connor, Natasha Atlas and many more. Three award winning albums with Juldeh Camara for Peter Gabriel's Real World label have been the latest in a series of collaborations with Master Musicians from North and West Africa. John Baggott - one of the originators of the Bristol Trip hop sound, Baggott cut his teeth as a teenage piano prodigy playing with visiting US legends like Jimmy Witherspoon and Charlie Feathers. He contributed to seminal work by Portishead, combining musicality with cutting edge sonic texturing and sampling, which led him to become a member of the Massive Attack team. He has also composed film and TV music for Emmy Award winning documentaries and most recently worked with songstress Anna Calvi on her new album. Juldeh Camara - Juldeh was taught the Ritti (one- string African Violin) by his blind Griot father, who was reputedly taught himself by the forest spirits of Gambia who took his eyesight in return for the gift. A traditional Fulani village musician, Juldeh's exceptional talent and charisma took him first to Banjul, Gambia's capital and then around the world with Ifang Bondi. Hearing Adams' desert-inflected blues he decided the two should collaborate, which led to the groundbreaking JuJu records, and in turn to his work with Plant, where the connections between the Blues and Mother Africa turn full circle. Billy Fuller - Fuller has been exceptionally creative in the past few years, as a founder member of post rock trio Beak, together with Portishead's Geoff Barrow, he has made two albums and played at the ultra – cool All Tomorrow's Parties Festival amongst many others. He has contributed to albums by Massive Attack, the soundtrack for the Banksy movie "Exit via the Gift Shop", guested with Portishead, and toured with Adams and Camara in JuJu. A rock solid bassist he is a vinyl junkie with consummate taste. Liam “Skin” Tyson - A surreal Scouser (Liverpudlian) who now lives in the Misty Mountains of North Wales, his combination of Pastoral acoustic open tuned guitars and electric 21st century psychedelia make him a perfect foil for Plant’s balladry and fire. He made a massive impact with Brit Pop group Cast in the 90s who had a succession of chart hits, mentored by figures like producer John Leckie. He built a studio in his Barn where he recorded his Men from Mars project and from where he nurtures local bands in between surfing and touring. Dave Smith - Originally trained as a jazz drummer and orchestral percussionist, a chance encounter with West African music led Smith to study sabar drumming in Gambia over a ten year period. He is the hub of a scene of Jazz and electronic improvisers based around the Vortex club in London, where he leads groups such as Fofoulah and Ruhabi, incorporating polyrhythmic African drive into their music. Headhunted by Adams and Camara, he brought a Ginger Baker like energy to their music which now moves to another level in the context of the Sensational Space Shifters. Plant revels in the excitement generated by the collision of these remarkably powerful forces. 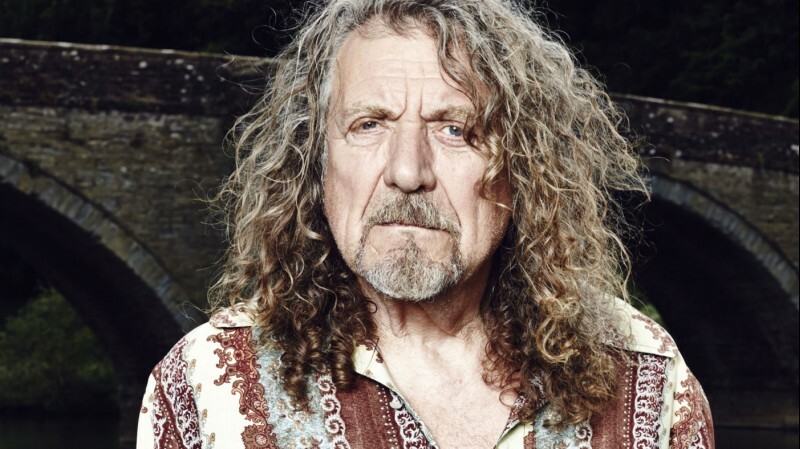 Though his contribution to Pop Culture began with his work with Led Zeppelin, his path since has been uncompromising: keep it fresh, spin the bottle, dig deep, embrace the past - visit it – celebrate it – but don’t build a home in it.